Brighten your complexion, enhance your features and diffuse imperfections with light reflective pigments providing sheer luminosity for stunning results. Your skin puts up with a lot. You deserve makeup that does more than merely conceal imperfections. This face illuminator highlighter from Colorescience contains essential oils and other ingredients to improve the quality of your skin in addition to providing a beautiful and natural glow. 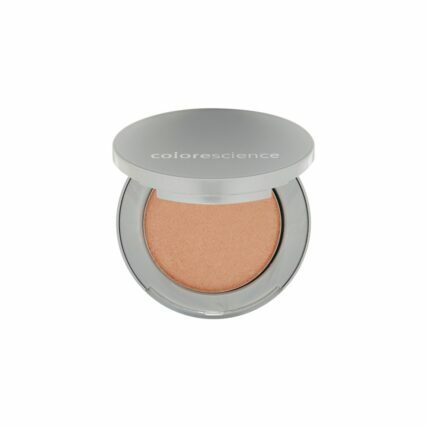 Unlike other highlighters, this Colorescience powder provides a highlight that gives a natural appearance. Use this Colorescience mineral makeup to even skin tone, highlight cheekbones, or simply brighten your overall complexion. This highlighter is specially designed with pigments that reflect light in just the right manner while providing sheer coverage. This clever facial illuminator highlighter can also double as an eyeshadow then imply sweep over your cheeks, forehead, décolleté, or anywhere you’d like to highlight with a natural pop. 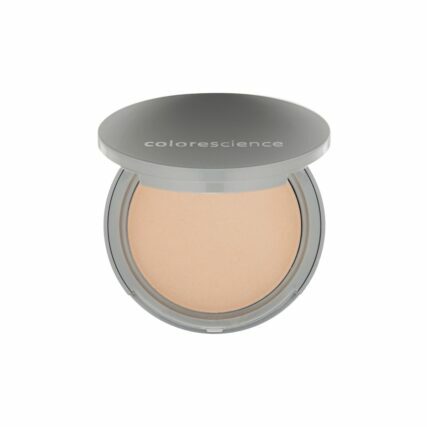 Colorescience mineral makeup is free from harmful chemicals, toxins, and common allergens like parabens and gluten. 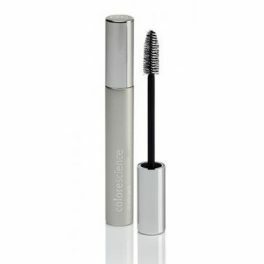 This makes Colorescience products ideal for anyone with sensitive skin. While other makeup brands simply cover imperfections, Colorescience products are specially designed to improve the long-term quality of your skin. This illuminator contains ylang-ylang and geranium which work hard to heal skin and reduce redness. Recommended and trusted by physicians, Colorescience got their start designing products for vulnerable post-procedure skin. 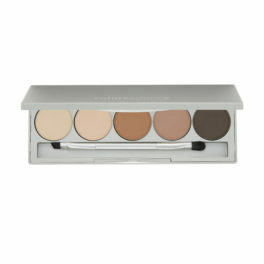 Today, everyone can take advantage of Colorescience’s gentle and breathable makeup. 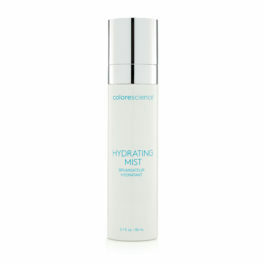 Give your skin the nourishment it needs to heal itself by adding this Colorescience illuminator to your routine. Mica, Ethylhexyl Hydroxystearate Benzoate, Nylon 12, Zinc Stearate, Ethylhexyl Palmitate, Silica, Daucus Carota Sativa (Carrot) Seed Oil, Pearl Powder, Tocopheryl Acetate, Magnesium Myristate, Glycerin, Lauroyl Lysine, Lycopodium Clavatum Extract, Caprylyl Glycol, Imperata Cylindrica Root Extract, Phenethyl Alcohol, Cananga Odorata Flower Oil, Fusanus Spicatus Wood Oil, Pelargonium Graveolens Flower Oil, Dimethicone, Triethoxycaprylylsilane, Phenoxyethanol, Sodium Dehydroacetate, Potassium Sorbate, Farnesol, Linalool, Benzyl Benzoate, Tin Oxide, Bismuth Oxychloride (CI 77163), Iron Oxides (CI 77491, CI 77492, CI 77499), Manganese Violet (CI 77742), Titanium Dioxide (CI 77891), Zinc Oxide (CI 77947). Truly a unique diffuser, that can be used to lighten redness on hands, neck, chest and face. Works as a traditional highlighter along bridge of nose or under eye brows. Sweep brush over cheeks, forehead or décolleté to achieve the perfect look.